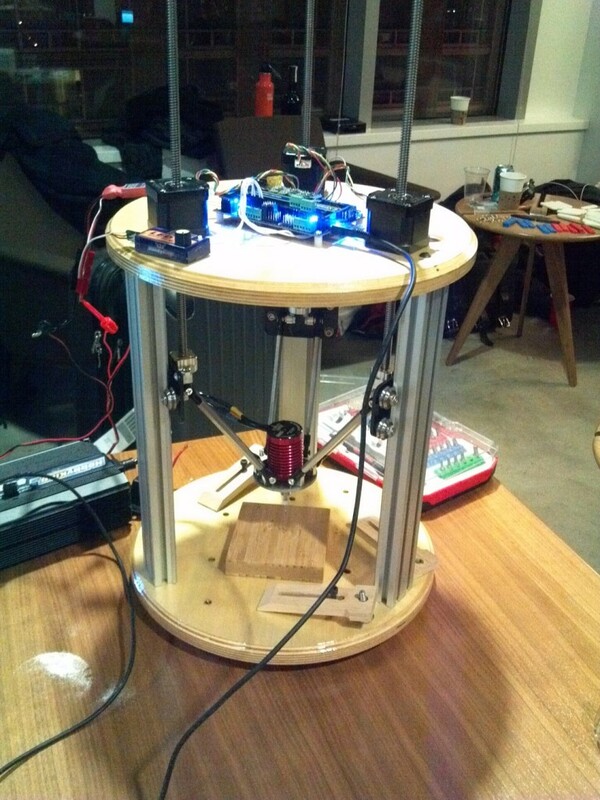 Bart’s Delta Router – Not going to be there on Saturday, but look at how awesome it is! Bart Dring of MakerSlide fame is going to be out at Workshop 88 on Saturday, March 1 demonstrating CNC concepts and giving a brief talk about how he has constructed several CNC builds. This talk immediately follows Arduino 301: Controlling The World, so come out for both! He has designed and built many great tools, such as a laser cutter, several types of 3D printers, including delta style printers. One of his most recent creations is a delta-style CNC router. Very cool! We look forward to having Bart out at Workshop 88 to share his expertise. This event is FREE and OPEN to everyone! Please come out and bring a friend. This entry was posted in Events by Russ Lankenau. Bookmark the permalink. I work on software, and do carpentry, electronics, and amateur radio for fun.